Making its world premiere at the 2018 Miami Yacht Show. 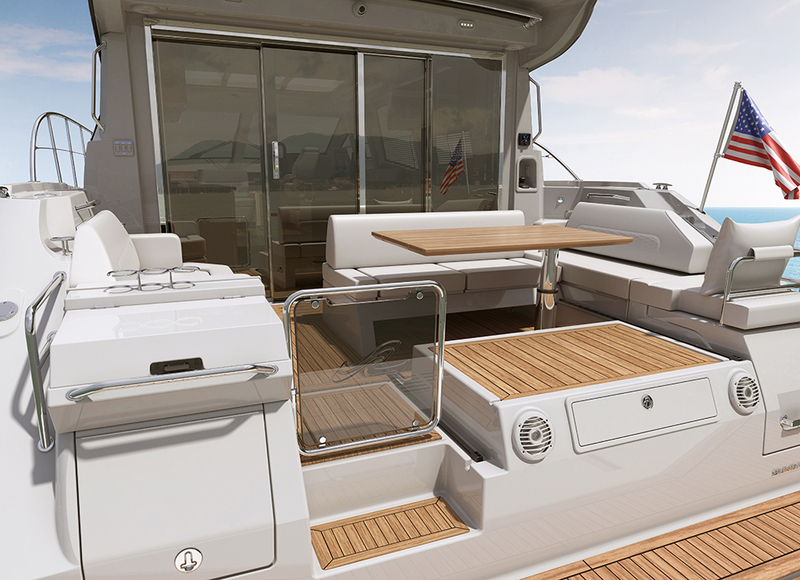 Be one of the first to view the Sundancer 520 on Collins Avenue, February 15th – 19th. The Sundancer 520 leverages the power of natural light as never before. Wide-open spaces with ample windows invite the outside in, while design innovations including remarkably convertible cockpit seating allow you to customize and enhance your experience. Enjoy luxurious livability, effortless entertaining, and an overall effect that’s more than just bright — it’s brilliant.